The Trayvon Martin—George Zimmerman case really is quite simple. 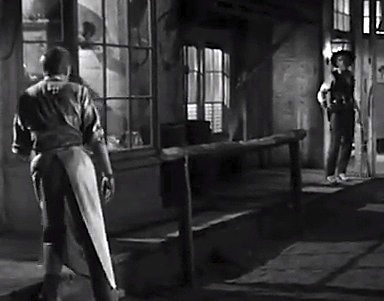 It boils down to ‘standing your ground’ against Liberty Valance. 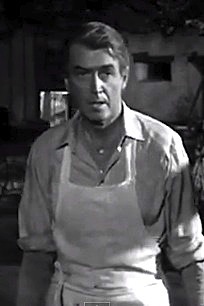 Liberty Valance is the bad hombre in the 1962 film, The Man Who Shot Liberty Valance. He is a sadistic psychopath like the villains in Rob Zombie’s films, just better looking. But Liberty Valance is more than a villain: he’s an idea. Zimmerman was the self-appointed head of a neighborhood-watch committee, of which he was the only member. His aim seems to have been to defend his community against Liberty Valance. If he ever watched the movie, he probably would have identified with Jimmy Stewart—a little guy standing up for what is right. Several burglaries had occurred in his gated community, and black teenagers had been implicated. One day he sees Martin in the neighborhood, so he follows him, erroneously thinking he might be one of the adolescents. He assumes Martin must be Liberty Valance—really bad. When you’re a self-appointed neighborhood-watch volunteer, you start thinking like that. Martin realizes someone is following him. He erroneously supposes Zimmerman is a cracker. 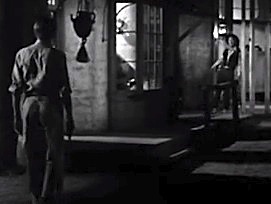 He jumps to the conclusion he’s being stalked by Liberty Valance. When you are a black male walking through a white neighborhood, you suspect somebody with a bad attitude might give you a hard time. If he had seen the film, he too probably would have thought of himself as Jimmy Stewart. Which then is real Jimmy Stewart? Whatever the answer, we know it was an instance of ‘standing your ground’ against Liberty Valance. If Martin had been carrying a gun, we’d at least know which of the two was the fastest draw. 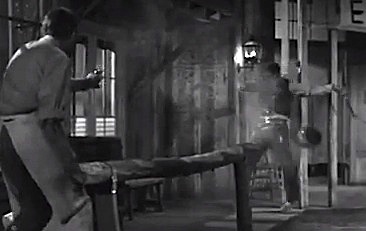 Assuming, of course, that John Wayne wasn’t hidden nearby, watching, ready to pull the trigger.